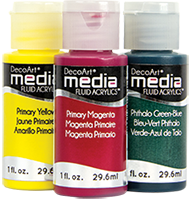 DecoArt's Media line has multiple texture products including Texture Sand Paste, Modeling Paste, and Liquid Glass, all used to create dimension in mixed media art. 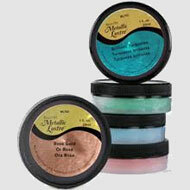 Ultra-fine Texture Sand Paste is a brushable, sandable, and paintable paste that creates texture and dimension similar in look and feel to wet sand. 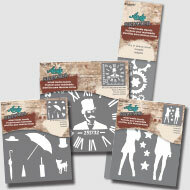 It is ideal for use as a stencil paste, and can be tinted with up to 10% Media Fluid Acrylics. Clear Liquid Glass is a specially formulated product for adding dimensional details, designs, or embellishments, or to adhere and magnify embellishments. 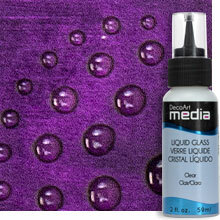 It dries quickly to a clear, glass-like finish that is hard, durable, and non-tacky. 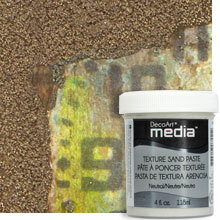 Each Media texture product serves a different function when you are creating. Consult our chart to help determine the right product for the effect you are trying to achieve. 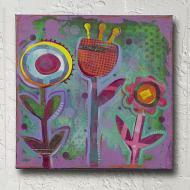 Free online education program taught by Andy Skinner, world renowned mixed media artist. Unique techniques, project inspiration, and news from our team of mixed media artists. Get inspired with our mixed media project ideas. 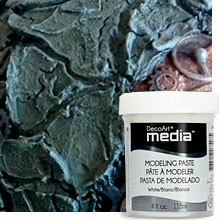 Combine these products with the Media products to create amazing mixed media art. 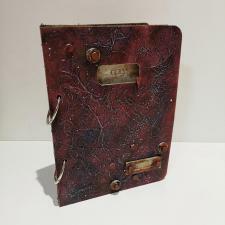 Get inspired with our mixed media project ideas that demonstrate the many different ways the Media products can be combined to create unique art pieces.